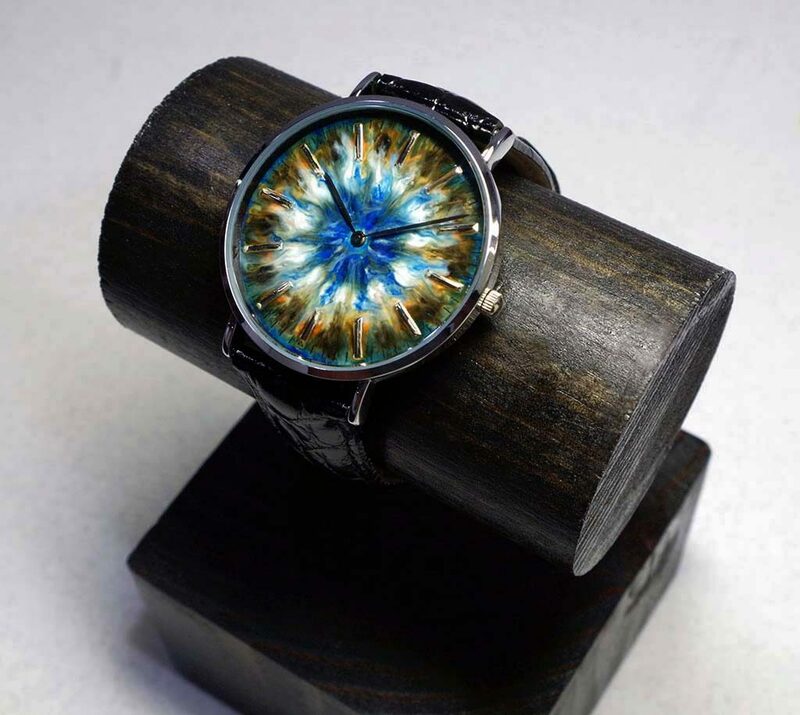 This one-of-a-kind watch won first place during the Crafts Competition at the NAWCC National Convention, Painted Dial Category. 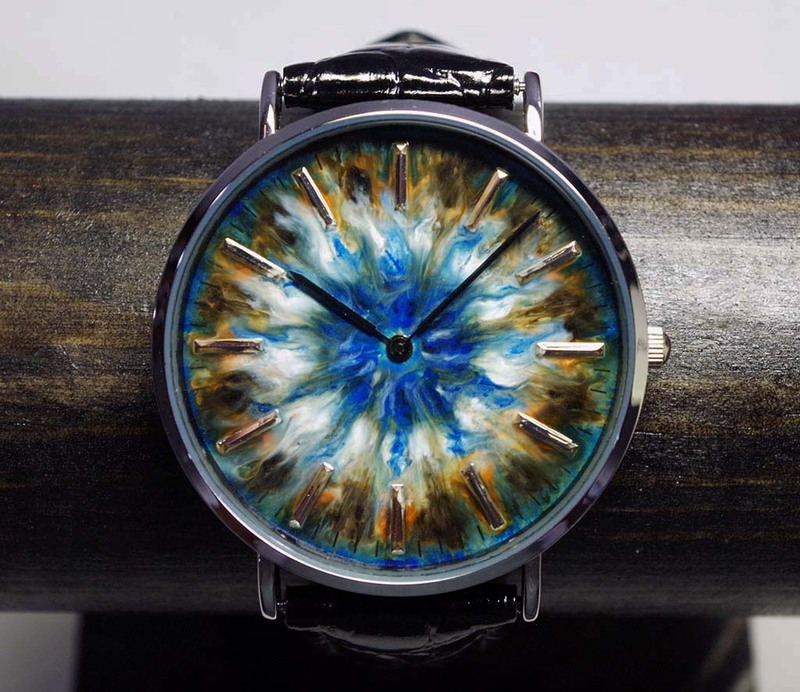 The dial was made using several layers of glaze and oil paint. The process is difficult and takes time to create. The paint is controlled but there is a level of self-mixing that takes time but really creates something beautiful and unique. 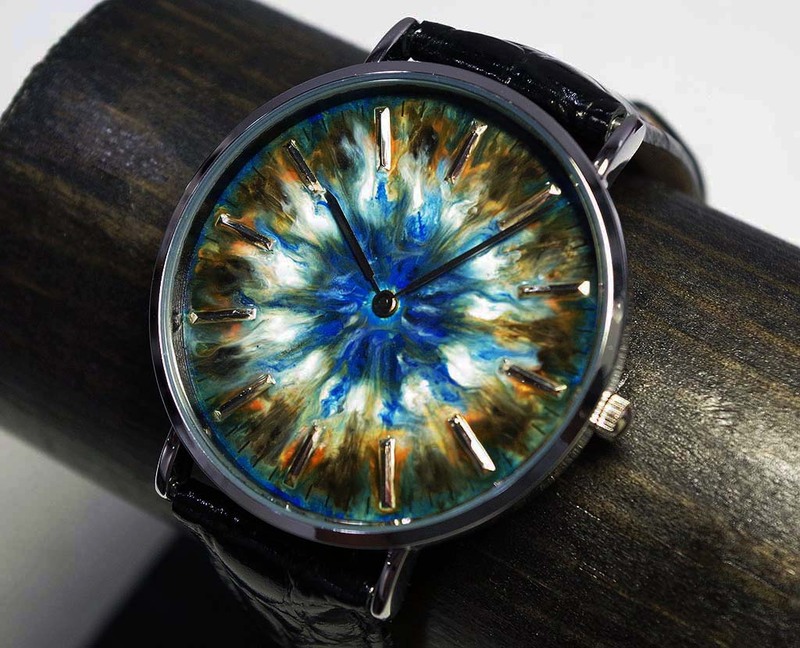 Every dial painted this way is different and cannot be duplicated. 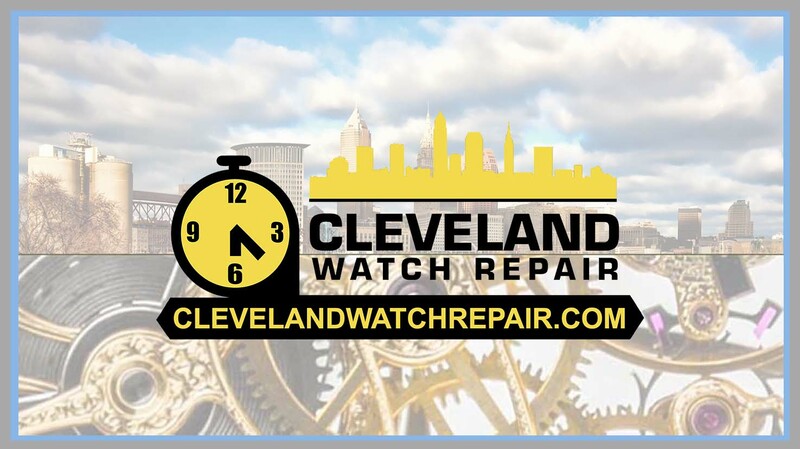 The dial is featured in a 40mm Case, Two Hand Quartz Movement, Black Leather Band.